✅ Trip Verified | Cairo to Beirut return. A very pleasant flight. On-time departure. 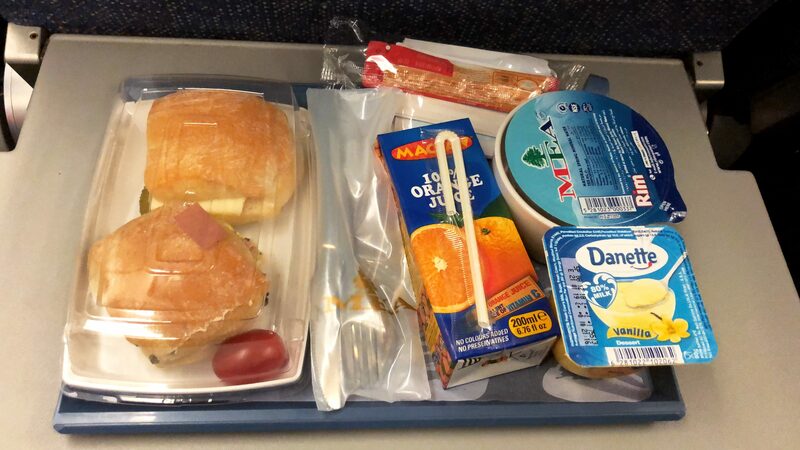 For a 1 hour flight, a snack tray was served with sandwiches, juice, tea, water and custard style dessert. Cabin crew professional and efficient. The cabin interior is very pleasant. It wouldn't hurt for cabin crew to smile every now and again though. On return flight 23/12/2018, again, on time departure and arrival back to CAI. The cabin crew on this flight were professional and efficient only a little more friendly as well. Same snack tray handed out, this time chocolate muffins were handed out as a little extra. "the worst I've ever flown"
✅ Trip Verified | After taking over 100 flights a year for almost 10 years, this airline is hands down the worst I've ever flown. Let's just say one thing: the economy seats on their long haul fleet simply don't recline. On top, the backs are placed at a completely ridiculous almost-vertical angle. After a 3.5 hour flight my entire body is hurting and I can't turn my head because my neck is sore. Can't even imagine how it would be taking this aircraft long haul. A complete joke. Never flying Middle East Airlines again no matter what. Not Verified | Frankfurt to Beirut. 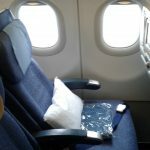 The flight attendants weren’t friendly at all, and I was traveling in business class. There were 3 passengers in business class. After the boarding was complete and the doors are close, the flight attendant brought 2 couples from the back to the business cabin? I gave Middle East Airlines three chances (three trips) and they failed every time. Never again. "check in is very unpleasant"
✅ Trip Verified | Milan to Beirut. The crew on check in is very unpleasant and treat customers in a very bad way as they are offering us the flight for free. I always chose MEA and I did more than 20 hours journey in Italy because I like to travel with MEA, but I will never do it again. "refund fees and no show fees"
Not Verified | This is the only airline maybe that you have to contact the call center for everything!, I asked to refund my ticket after I decided not to travel, and after that I received an auto-reply that the refund request is received, and after that I tried to access my reservation again to make sure that my reservation is cancelled and I could not find it so I thought all went well. I contacted the call center to ask about the amount to be refunded, and they informed me I have a refund fees and no show fees as I did not call to cancel! How can I know that my reservation is still there when I could not find it online and after receiving an email stating that I will get my money back within 21 days as a maximum! this is very unprofessional (the rating below it is based on a previous trip I had via MEA). ✅ Trip Verified | The flight was on time. The crew was friendly, I had no problem with my seats. The seat is good, the leg space is extremely good for a economy seat. The takeoff and landing was pretty smooth, the entertainment is good (and the tvs on the new planes are really better than the old ones) the food was delicious and the new planes are really quiet. I had a very good flight and I totally recommend MEA. "will never use this airline again"
✅ Trip Verified | Amman to Beirut. Overbooked flight. Will never use this airlines again. Arrived at 1.5 hrs before my flight time. I got to the ticket counter and was told I arrived on time but the flight was overbooked. I was instructed to call my travel agent! Well I booked through Expedia, I didn’t have one. These flights were booked 3 months in advance and I wasn’t able to board! People who booked after me were on the flight because they arrived at the airport sooner. I was flying with the a child, they placed me on the following flight 4 hrs later and gave me $150 dollars to fly with them again! What’s $150 in MEA money they could have at least given me a gift card. Needless to say I had no other options and needed to get to Beirut so I flew with them. I will never use this airline again. "not as good as I expected"
✅ Trip Verified | Paris to Beirut. Pleasant full flight. Aircraft was not new. Flight attendants were young, friendly yet somewhat too casual while doing their work. Food served was OK but not as good as I expected. They tend to overheat the meal which makes it soggy. Departure and arrival were on time. "flight itself was pretty pleasant"
✅ Trip Verified | Shortly after the booking and within 24 hours we realized that the first name of one of the passengers was mis-spelled due to the phonetics of the Greek language (Ekaterini was typed instead of Aikaterini). We contacted the airline both in our local office and in Beirut in order to correct this and we were treated as we did a crime. We were asked to pay more than 100€, otherwise the passenger would be denied boarding - the ticket itself cost 156€ return. Reading relevant reviews we decided to risk it and travel with the name as it was and there was absolutely no problem. The flight itself was pretty pleasant, punctual, nice relaxed feeling of the staff, food was provided with metal utensils, in-flight entertainment for such a short flight (1h40min), luggage provided, check in at the counter for free, for a very reasonable price. 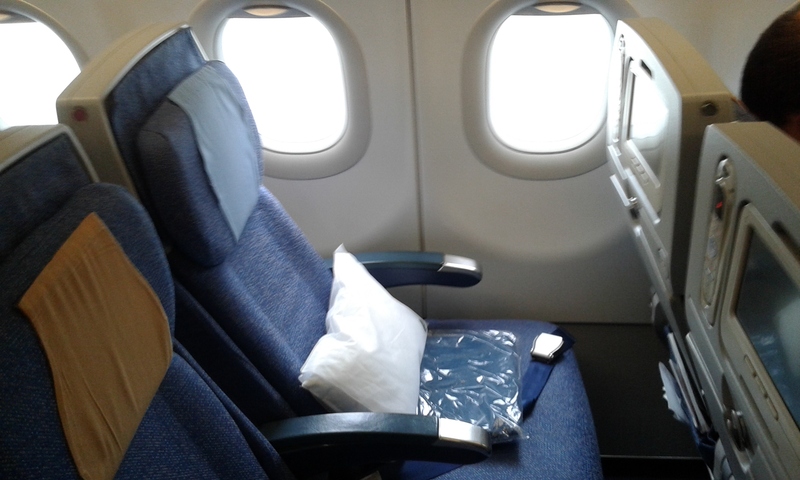 Business class had proper business seating, which is not common at an A320. They maintain the style and comfort of traditional full service. "flight was actually very good"
✅ Trip Verified | The flight was actually very good. 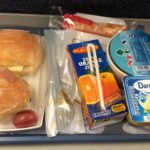 There was a satisfying entertainment service with a good number of movies for a three hour flight, very good quality of food, comfy economy seats, and well trained inflight staff. The flight was very smooth and comfortable and we actually arrived earlier than the scheduled time though departure was delayed for around 15 min. I would recommend better trained ground staff.